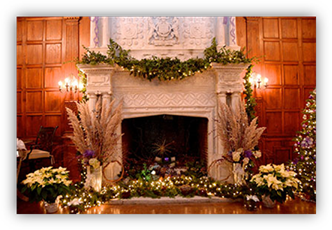 (17/P114) TRENTON – The elegance of the Gilded Age and the magic of Christmas will be showcased in December during annual holiday events at Ringwood Manor and Skylands Manor, both in Ringwood State Park, the New Jersey State Park Service announced. Ringwood Manor is listed on the National Register of Historic Places. The stunning 19th century house that was home to well-known ironmasters in the 19th and 20th centuries sits on a low hill that overlooks a rustic landscape, making it an ideal spot to visit during the holidays and winter. Skylands Manor is a 44-room mansion constructed in the 1920s to mimic the English Jacobean architecture common in the English countryside 400 years ago. The mansion is within the 96-acre New Jersey Botanical Garden, which is part of Ringwood State Park. The decorating theme at Skylands Manor changes annually. Volunteers from northern New Jersey garden clubs, Master Gardener programs, local companies and New Jersey Botanical Garden members decorate each of the manor’s individual rooms, from floor to ceiling. 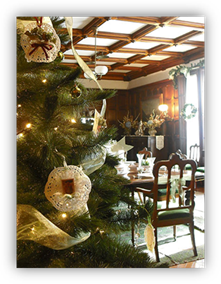 Visitors may also stop by a gift shop and holiday café at the manor. In addition to these events, visitors may consider attending an evening reception. Fee: $8 adults, $6 seniors, $3 children ages 6 to 12. Tickets may be purchased at the door. Fee: $10 adults, $8 seniors, $5 children ages 6-12, free for children age 5 and younger.